UPDATED: Mon., July 2, 2018, 9:08 p.m. I have a theory, which I will get to in a moment. But first, let me ask you something. Do you pay any attention to campaign signs? I have to admit I do. At least the ones for the two women running for Congress in Eastern Washington. When a red sign appears in a yard right next door to a lawn sporting a blue sign, I like to imagine how those neighbors get along in these polarized times. Here are my leading assumptions. 1) They get along fine because they never talk politics and there’s more to being a good neighbor than party affiliation. 2) They hate each other’s guts, but that started long before this election season. 3) They don’t really know each other and seldom communicate. 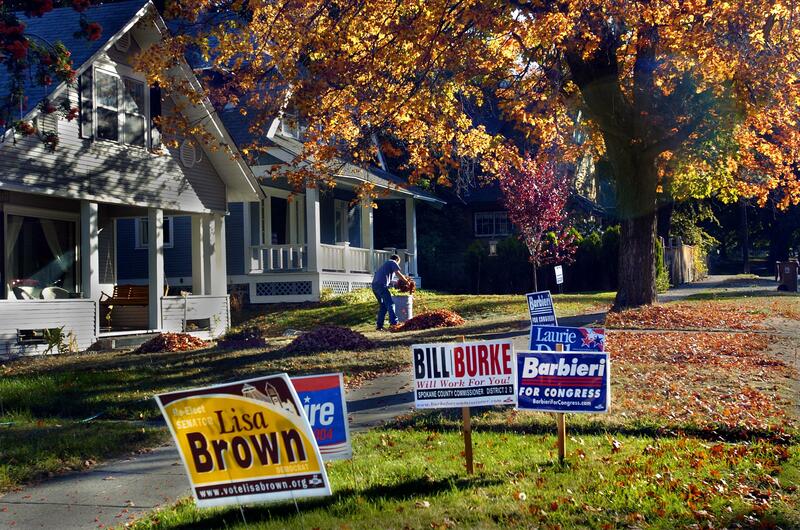 This is my theory: Aside from the two women running for Congress, most of the names on campaign signs one is apt to see in and around Spokane are recognized by only a small percentage of those passing by. Furthermore, it is my belief that if I fashioned a sign for a mythical candidate, Mungo Jerry, hardly anyone would give it a second thought as they drove past my yard. Oh, perhaps a few would wonder. But for the most part, my sign would garner little attention. And seeing as how this is Independence Day Eve, peak summer, perhaps we ought to pause for a moment to consider that tune. OK, the fine weather/women-on-your-mind connection is well established. It needs no elaboration. The “Have a drink, have a drive” line is more problematic. Fortunately for me, I was 15 when that song came out so getting behind the wheel was not a legally recognized option. Which brings us to the “If her daddy’s rich” couplet. Just what is going on there? Does that imply a consensual connubial encounter or, 1970 being arguably pre- “Me too” sensibilities, does that suggest a darker scenario? I think it means Mungo Jerry is the candidate who cares about Eastern Washington families and is ready to go to our nation’s capital to fight for you. You don’t have to be a small child to have an early bedtime. And because it stays light so late at this time of year, it might be that you intend to turn in Wednesday night before the fireworks downtown and elsewhere. That doesn’t mean you won’t hear them. It just means you might subconsciously incorporate the distant booms in a dream. That’s fine. The world does not revolve around your early bedtimes. But those in your household who retire later might want to be prepared to hear you shouting in your sleep as you dream cannons are firing at your home. A reader noted that he’s always glad to see that Hoopfest is over because, in the week leading up to the annual event, people using basketball hoops in the street seem positively annoyed when you have the temerity to drive your car on a public thoroughfare and interrupt their all-important activity. Updated: July 2, 2018, 9:08 p.m.